TAYLORMADE PROPERTIES WELCOMES YOU TO THE SUNNY STATE OF FLORIDA! - Taylormade Properties, Inc.
DescriptionTerrific executive style home situated on a large, fenced lot in the GATED COMMUNITY of Sweetwater. Very easy access to the Westshore Business District, Tampa Int'l airport, Berkeley Prep, and downtown. Fresh interior paint. Beautifully updated with a gorgeous kitchen featuring dark wood cabinetry, granite countertops, a large center island, stainless steel appliances, pendant lighting and a wine refrigerator. Travertine stone floors grace the kitchen and family room, wood look ceramic plank tiles are featured in the formal rooms and all bedrooms have carpet. The interior paint color is clean and neutral. The family room is highlighted with a stone faced wood burning fireplace. The washer and dryer are included. A covered, screened lanai provides even more space and overlooks the large, fenced backyard. Pets will be considered. Lawn service is provided by the owner. Home is available April 1, 2019. DescriptionREDUCED! Fantastic opportunity to live in desirable Dunedin! This extremely well maintained community features a clubhouse, swimming pool and shuffleboard courts. Priced to sell, this end unit townhome is clean, neutral and move-in ready. Or, at this price, you can afford to make changes and upgrades as similar units in Braemoor Lake Villas are priced and selling significantly higher. The downstairs features an eat-in kitchen with a bay window and laundry closet, a dining room, living room with vaulted ceilings, master bedroom and bath and enclosed lanai. The master bath features dual sinks, a tub and a shower. There is storage space under the stairs. Upstairs find 2 bedrooms and one bathrooms. Tile floors on the first floor, carpet on the second level. There is a detached one car garage adjacent to the townhome as well as conveniently located guest parking. Dunedin is often featured on those "Best Places to Live" lists - close to beaches, Honeymoon State Park, Toronto Blue Jay spring training facilities, a charming downtown area alongside the water. Don't miss this one! DescriptionThis beautiful maintenance free Highland Park Coach home will not disappoint! This 3 bedroom 2 1/2 bath home features over 2300 square feet of living space and a 2-car garage. This home has a nice open floor plan and fresh new paint throughout! The spacious kitchen features wood cabinets, stainless- steel gas appliances, granite counter tops and tile flooring. There is a generous size great room and formal dining room just off the kitchen. Upstairs you will find the Master suite that includes a large walk-in closet, garden tub with separate shower stall, tile floors and double vanities. Also, on the second floor you will find 2 additional bedrooms that share a full bath. The laundry room is also conveniently located on the second floor. The covered, screened lanai overlooking conservation completes this home! And with the summer months quickly approaching no need to worry a new energy efficient AC was installed July 2017. Highland Park is a charming community situated just minutes from excellent shopping, restaurants and top "A" rated schools. This neighborhood offers a neighborhood park, playground and basketball court all just steps from your front door. A lake front community pool, clubhouse and fitness center are just a short walk away. DescriptionSpacious WESTCHASE home located at the end of a quiet cul-de-sac with conservation privacy in the backyard. The location is ideal! The floorplan features 4 bedrooms with a nice sitting area in the master suite (ideal for a home office or work out space), 3 full bathrooms and a 3 car garage. This home features pretty hardwood floors throughout the formal rooms and in all bedrooms plus a spacious kitchen with corian countertops and a stone backsplash. The kitchen is open to the family room. The master suite has a built in closet organizer and the laundry features a sink and cabinets - washer and dryer included! NEW ROOF! A covered patio provides a nice outdoor space. Great schools and excellent neighborhood amenities: 2 heated swimming pools, tennis courts, playgrounds, golf course, restaurants and shopping. Available June 1. Pets considered on a case by case basis. DescriptionExceptional WESTCHASE location on a QUIET CUL-de-sac with CONSERVATION in the back! NEW ROOF 2018. This home is spacious with over 2,700 square feet of living space and a sitting area in the master bedroom. The is a built-in closet organizer system in the large master closet. Gleaming hardwood floors in the living/dining/master and all bedrooms. The kitchen has abundant cabinet space, corian countertops and is open to the family room. Sliding glass doors lead out to the covered patio. Room for a pool - or - enjoy the two Westchase community pools. The laundry room features a utility tub and cabinets. Enjoy the terrific WESTCHASE amenities; pools, tennis courts, recreation center, golf course, shops, restaurants, parks and more! DescriptionFANTASTIC PRICE! Gorgeous LAKEFRONT home in the gated EXCLUSIVE community of Old Memorial Estates. This home sits on one of the best lots in the community with a picturesque view of Hixon Lake and views of Old Memorial GOLF COURSE in the distance! As you enter this BEAUTIFUL Taylor Morrison home, you are greeted by an extensive driveway featuring brick pavers, double door entry, and stone accents welcoming you home! This Camila IV floor plan boasts 4 bedrooms, office, PLUS TWO bonus rooms, 3.5 baths, 4017 sq. ft., 3 car garage with extension upgrade and a tile roof. This energy efficient home has a $34,000 WHOLE HOUSE SOLAR SYSTEM that is TOP of the line with WHOLE HOUSE WATER SOFTENER FILTRATION & REVERSE OSMOSIS. The main living areas feature HARDWOOD floors, tile, and the office includes UPGRADED wood-look tile & French doors. The Master Suite is spacious with lovely views of the water, his/hers closets with UPGRADED closet organizer systems. The Master Bath had UPGRADED cabinetry, dual sinks, upgraded marble, soaking tub and a large frameless door. The Chef's gourmet kitchen is a delight with tons of wood cabinetry, spacious granite countertops, stainless steel appliances, island and plenty of room for entertaining. The spacious Family Room has triple sliders to the patio. Plenty of room for a custom pool! Old Memorial Estates is an executive community featuring UPSCALE, NEWER homes, GATED, Tennis Courts, and a Bark Park. This location is FANTASTIC! TAYLORMADE PROPERTIES WELCOMES YOU TO THE SUNNY STATE OF FLORIDA! Taylormade Properties, Inc. is located in the heart of 33626, a thriving and desirable destination for Tampa Bay area residents. Recognized for quality schools, well-designed master planned communities and an abundance of amenities, this prime area is home to some of the best neighborhoods in all of Tampa Bay: Westchase, Waterchase, Tree Tops, Highland Park, West Hampton, Westwood Lakes, Mandolin Estates and Mandolin Reserve, are just a few of the outstanding neighborhoods in 33626. 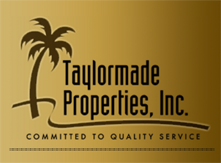 Our company, Taylormade Properties, Inc. has been selling homes here since 1994 and opened our first Westchase office location in 1998. We have watched the area grow and we’ve been a part of it since its inception. When it’s time for you to choose a real estate company to help you buy or sell your home, who better to call for expert guidance, professional service and knowledgeable advice? It will be our pleasure to assist you, just as it has been since 1994.